We are very happy to offer a special discount to all the teachers in the communities we serve at Dentistry of Colorado. Our Teacher Appreciation Credit is available at all of our dental offices. Our offices are located in Arvada, Belmar, Boulder, Cherry Creek, Lafayette, Sloan’s Lake and Westminster. If you are a current or retired teacher, we have a special discount on dental services we offer exclusively for you. On your first visit, a $325 credit is applied to the cost of your services. In the subsequent years as our patient, you will receive $125 off each year. This discount can be applied to your current dental insurance. Valid on both services and products at any of our locations. Expires 12 months after issue date and can’t be refunded for cash. We offer it as just a small way to say thank you for all that you do! We Think What Teachers Do is Amazing! The extraordinary transformative power of a great teacher is something many of us have experienced. If we were very fortunate, we had a number of exceptional teachers who had a passion for the material that they taught and a real genuine care for the students they had. Celebrities such as Oprah Winfrey and Bill Gates have both cited an influential teacher as the one who changed the course of their lives. Teachers matter more to student achievement more than any other aspect of a student’s schooling. But they do so much more. They coach, listen and mentor our kids and are one of the most important keys to the well being and the future of our communities. Our teachers are quiet heroes that mean so much in the lives of their students. The reality is that they do one of the most important jobs in the world and often for little financial reward. At Dentistry of Colorado, we want to do our part by offering a gesture through our Teacher Appreciation Credit. It is available to all teachers, both those currently teaching as well as retired teachers. Contact Us Now to make an appointment at one of our Dentistry of Colorado offices near you. 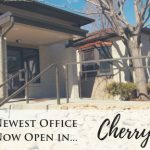 Our offices are located in Arvada, Belmar, Boulder, Cherry Creek, Lafayette, Sloan’s Lake and Westminster.